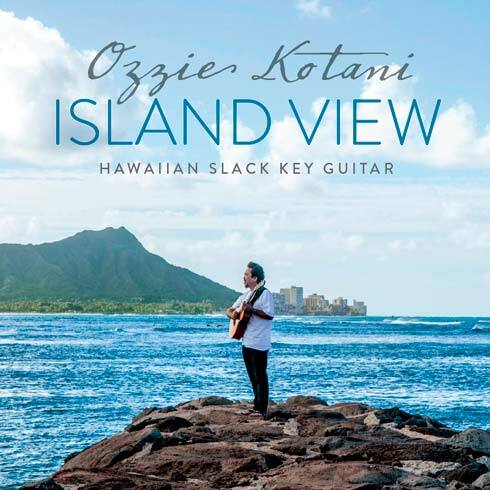 Island View reflects my return to a mix of traditional and contemporary slack key based arrangements and compositions featuring a G6th Tuning as well as my first collaboration with a songwriter. Amidst the solo and ensemble work, there is also a duet for two guitars and a previously unrecorded song composed by Queen Lili`uokalani. While my last recording, Ho`ihi, was all about respect and recognition for tradition and identity, Island View moves into the present and my belief in what tomorrow holds for this uniquely Hawaiian style of guitar playing. The CD is now available and you can order directly from this website. It cost $16.00 with free first class shipping, or upgrade to Priority Mail for an additional charge at checkout.